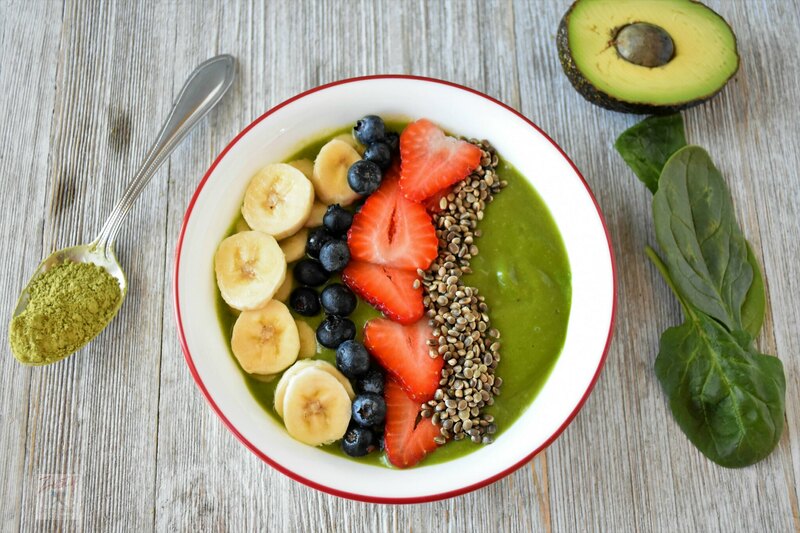 Creamy green smoothie bowl with banana, avocado, matcha and spinach, super healthy smoothie to start your day. I am a smoothie person who love to start day with smoothie. I have been eyeing on Matcha powder to make a smoothie. But for a long time, I could only find it in stores that sold bulk quantities and I did not want to buy a large amount. Finally, I found it in local Walmart, and I was like a kid who find a long-lost toy. 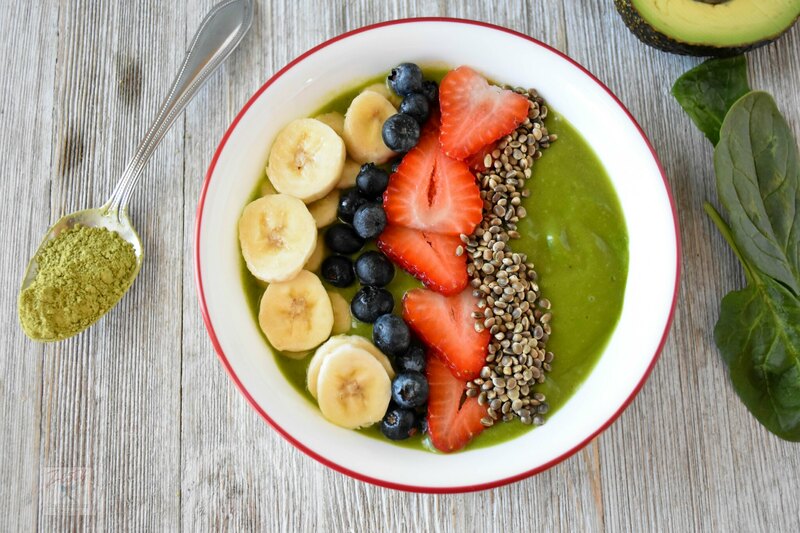 Then I decide to start my day with Matcha green Smoothie bowl. My love for green tea started during my stay in Japan. Now only occasionally I am drinking green tea. I think I need to start that habit again. 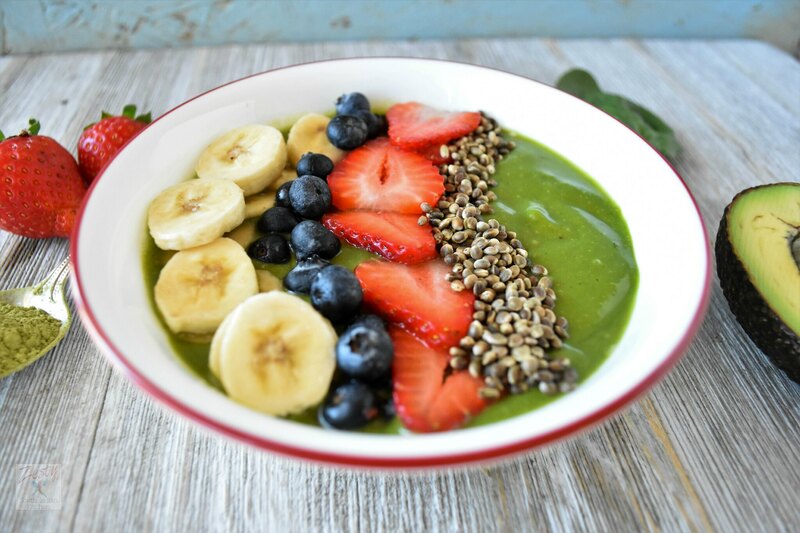 Healthy foods can also taste great, this smoothie bowl is an example. You can assure that, this is coming from a person who doesn’t like raw spinach. Yes, I like them only when it is cooked not as raw. But in this smoothie, I didn’t feel any taste different. From now on you can expect lot of matcha recipes, yes, I am going to try them in baking too. I didn’t keep any resolution, still I want to make some changes in my habit, but it is so cold to venture out. Once the cold subsides I am going to start walking again. Do you know Matcha green tea has these amazing qualities, It is high in Antioxidant like Catechin, EGCg. It enhances relaxation, boost memory and concentrations, increase energy levels, burns calories, detoxify body and fortify the immune system. Matcha is also a powerful detoxifier capable of naturally removing heavy metals and chemical toxins from the body. 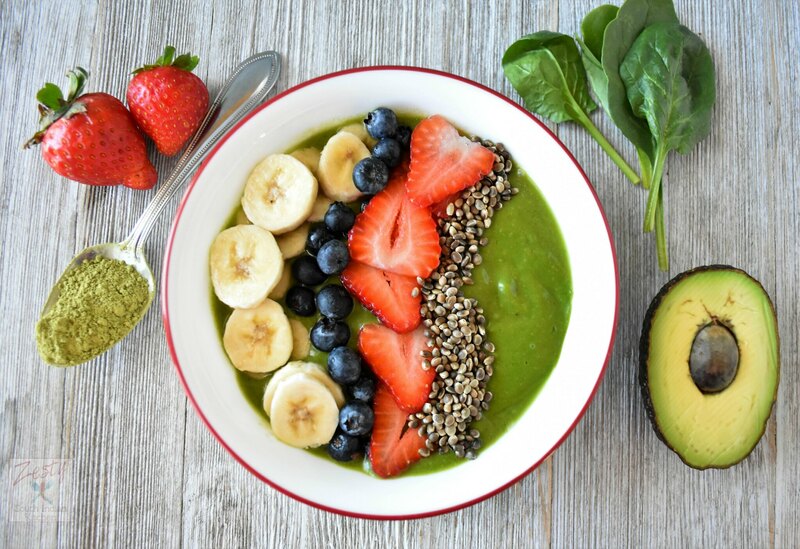 So why wait start making this delicious and healthy smoothie bowl. I made with frozen banana, avocado, spinach, coconut milk and matcha powder. I used Nectivia (fortified agave nectar with Steviva) to sweeten up little bit. If you don’t want to use it use maple syrup or 3 dates. Once you made the smoothie then topping part, I used half banana, strawberry, blueberry and toasted hemp seeds. You can play with your own favorite fruit and nuts. First blend everything into fine puree and transfer to serving bowl and then add topping and enjoy.